For a detailed description and tutorial, please see our FRST Tutorial - How to use Farbar Recovery Scan Tool. Farbar Recovery Scan Tool (FRST) is a portable diagnostic tool incorporating the ability to execute prepared script solutions on malware infected machines. It will work equally well in normal or safe mode and where a machine has boot up problems it will work efficiently in the Windows Recovery Environment. It's ability to work in the recovery environment makes it particularly useful in dealing with problems associated with machines experiencing difficulty when booting up. 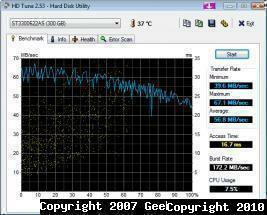 Farbar's Recovery Scan Tool is designed to run on Windows XP and above. FRST is available as a 32-bit and 64-bit version. Don't know which one to use? Don't worry, if you downloaded the wrong version, it won't run. Just download the other.